Invitation design only - YOU print! Invitation design + printing package - WE print! 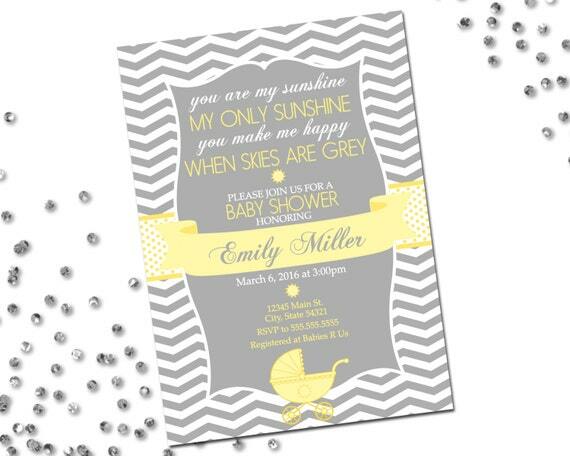 This listing is for a 5" x 7" digital invitation file! Please be sure to read through all of the details in this listing. Most questions are answered here! During checkout, please provide all of the invitation details in the 'Notes' section. If you forget to submit your invitation details in the 'Notes' section at checkout you can message them to us through Etsy or send us an email at beccaleepaperie [!at] gmail.com. Please be sure to reference your order number when messaging or emailing! Once you've submitted your order, we will send your customized digital file to the email address associated with your Etsy account. If you need the digital file sent to a different email address, please let us know in the 'Notes' section at checkout. Be sure to check your Spam/Junk folder if you don't see your digital file in your inbox within the lead time specified below. If you still haven't seen your order come through, please send us an Etsy message or email referencing your order number and we will re-send. The lead time for digital invitation files is 1 - 2 business days. Business days are Monday - Friday, weekends and major Holidays not included! Our lead times are subject to change. Please be sure to check our shop's 'Policies' page and/or shop announcement for the most up-to-date lead time information. Please note that your lead time doesn't begin until we have received a complete order including all of your invitation/order details. LIKE THIS ITEM, BUT NOT READY TO PURCHASE? Click on the little red heart to the right to save this listing in your favorites so that you can easily find it when you are ready to order! Due to the nature of this item, refunds are not accepted. If you there is an issue with your digital file please send us a message or email so that we can rectify the situation. By purchasing this listing you are agreeing to the terms listed here and in our shop's 'Policies'.